Celebrating learning differences is at the heart of Stewarts Creek High School’s culture. Only six short years ago, Principal Dr. Clark Harrell opened SCHS with the mission of achieving academic excellence by fostering the belief that every child learns differently. He knew that many schools struggle with helping students learn the standards when educating them following the status quo. This rigid system didn’t align with Dr. Harrell’s vision and he knew there must be a better educational model available. The summer prior to the school’s opening, the leadership team met with Danny Hill who introduced them to the Power of ICU. The book presented layers of support for positioning student differences as strengths and a focus on standards’ mastery, not grades. 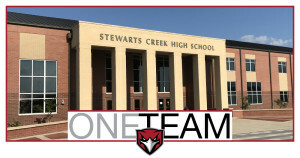 Applying the Power of ICU formula to Stewarts Creek High meant fostering a culture where students were served through daily individualized support by all faculty members from front office personnel to teachers, coaching staff to administrators. Last year, a visit from the Power of ICU team introduced the SCHS staff to Danny’s newest book, Grade Cleanse. This gave teachers the final piece of the formula needed to refine and develop quality practice that truly assesses learning and produces work that authentically reflects what students know, not how they behave. Principal Harrell contributes the school’s culture of excellence to the layers of support, positive student-teacher relationships, and a commitment to celebrating individual successes together as One Team. “Power of ICU has offered the school a systematic plan to build this culture, and SCHS has experienced positive changes in student attitudes toward learning every year since it’s adoption,” says Harrell. Academic lifeguards, the ICU database, and notification messages keep parents informed of their child’s progress, an important component that is often missing after students transition into high school. SCHS families know that teachers and administrators are not going to let their students sink beneath the academic demand, but rather work along side them to meet rigorous expectations. Each year, Stewarts Creek High School has given 100% to build layers of support focused on every student succeeding. Acting as OneTeam, the staff has made ICU the backbone of their school culture and is all-in toward giving students every opportunity to complete every assignment everyday. In honor of their significant achievement and long-standing focus on personalized student learning by creating a unique, relational ICU school environment, Stewarts Creek High has earned the distinction as a Spotlight School. 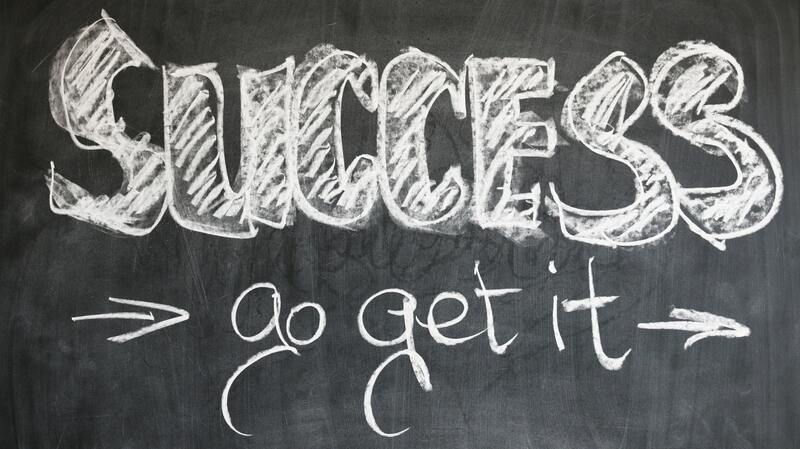 What initiative can we take today to cultivate a culture of success tomorrow? No school better embodies this question than Watertown Middle School. Building a Brick House school culture originates from a labor of love, a commitment to a firm foundation, intentional decision making to secure each brick is in the right place at the right time, and complete trust in those leading the charge. When done right, the result is a strong, solid, supportive Brick House that can stand the test of time. Each year, the Power of ICU team recognizes a school that has a proven history of successfully supporting student learning. We are honored to announce Watertown Middle School as the recipient of the 2018 Brick House Achievement Award. For the past 11 years, Watertown Middle School has proven they have built and sustained a strong, solid, supportive school culture that places student needs as the keystone of learning. Many school improvement strategies are a top-down action plan. However, what makes Watertown unique is the fervor behind the teacher-led initiative that brought about their success. With the support of their Principal, Todd Brist, it was Watertown Middle teachers that sought out a system to inspire dramatic change in their school culture. It wasn’t long before the teachers requested the final piece, the ICU Database. According to Principal Brist, “Since then we have continued to improve our quality of work, grading practices, and assignment completion; ending the past five years with a 99.99% closing rate.” Parents and teachers now work collaboratively using notifications sent from the ICU Database similar to a blueprint communicating the student’s needs and the plan to get the work done. Watertown students are expected to do quality work on every assignment supporting the mission of making learning the focus, not points or grades. Over the past 5 years, the Power of ICU has laid a firm foundation with layers of support to improve student achievement raising the passing rate for all classes to 100%. However, it is the unmeasurable that has made the biggest impact. 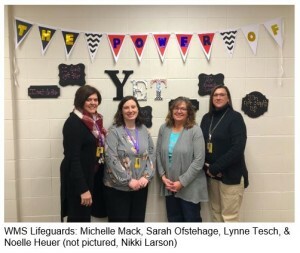 The Power of ICU has equipped Watertown students with confidence in receiving academic lifeguard support, a sense of ownership and responsibility for their assignments on the list, and perseverance in remediating towards mastery. Because of their consistent commitment to excellence, Watertown Middle School has earned the distinction of receiving the 2018 Brick House Achievement Award. 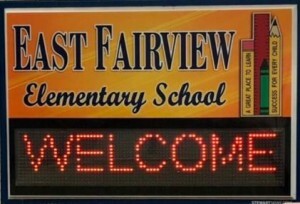 Earning the recognition as a Spotlight School, East Fairview has demonstrated proven success with each aspect of the Power of ICU formula: Completion, Quality Assignments, and Healthy Grading. Now in their third year of following the ICU approach, East Fairview students and teachers are reaping the rewards of consistent academic achievement by finishing each year with zero assignments left incomplete. Principal Derek Gakel first discovered the Power of ICU in the summer of 2015 after searching for a professional development opportunity for his faculty. 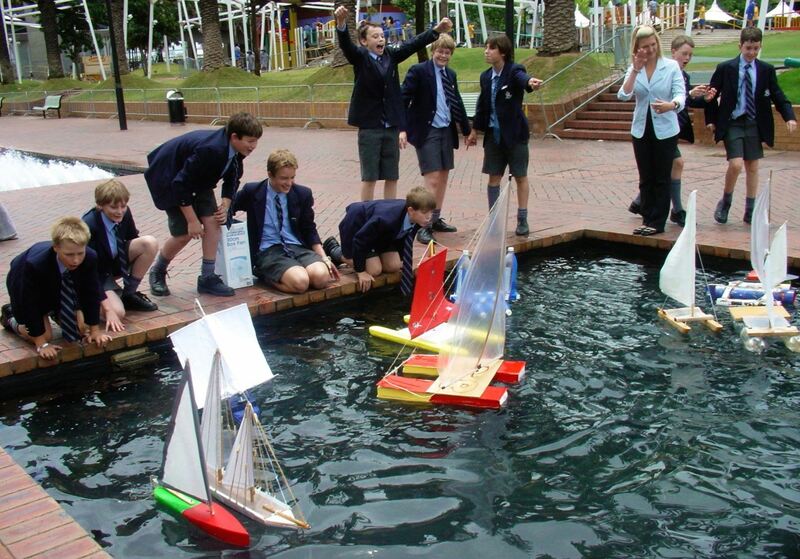 Quality assignments have always been a focus of the school, but something was missing. The strategies developed by Danny Hill in his book Power of ICU provided the answer. After finishing the book study with his teachers, East Fairview began to experience a conversational shift towards everyone speaking a common language centered around student learning, instead of focused on grades. As a result, the school began to refine their assignments to fit the vision of the school and tie learning directly to the state’s standards. Teachers began to experience cleaner grading and increased authenticity in student learning by separating the academic value from the non-academic filler. Now, student grades are the best reflection of their learning and East Fairview is not only meeting, but exceeding the standards. The students have come to expect that they will routinely receive feedback on their performance and daily support to complete every assignment. With school-wide buy-in and a growth-mindset, the culture has earned a reputation for student advocacy and achievement. It is because of this commitment to excellence, East Fairview School has earned the distinction of being named a Spotlight School. Every student in your school has his or her own story… living their own life. Each life is different. Remember this when wondering why students behave or learn the way they do. An effective way of ensuring that every student has support from every angle is to have multiple “cheerleaders” throughout the school building. This allows students from all walks of life to be able to be helped and cheered on. Some students don’t respond well to their classroom teacher but may respond well to their athletic coach. Many students respond well to teachers who they do not even have, simply because that teacher said hi and showed kindness. This can sometimes change the day of that student. Teachers can even ask if the student needs any help with a missing or upcoming assignment, even if it is not their student. If every person in the school building did this, the culture would be unstoppable. Imagine students feeling empowered and unafraid of failure. Imagine students holding their heads high, knowing that every person in the building has their back. This is no longer a culture of student and teacher. This is a culture of learner and supporter. 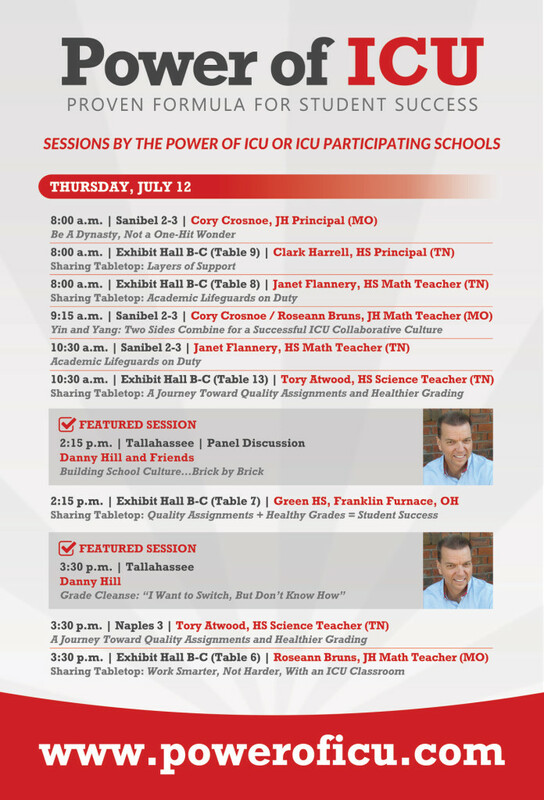 Be sure to join us July 12th and 13th at the Gaylord Palms Resort & Convention Center in Orlando, Florida.